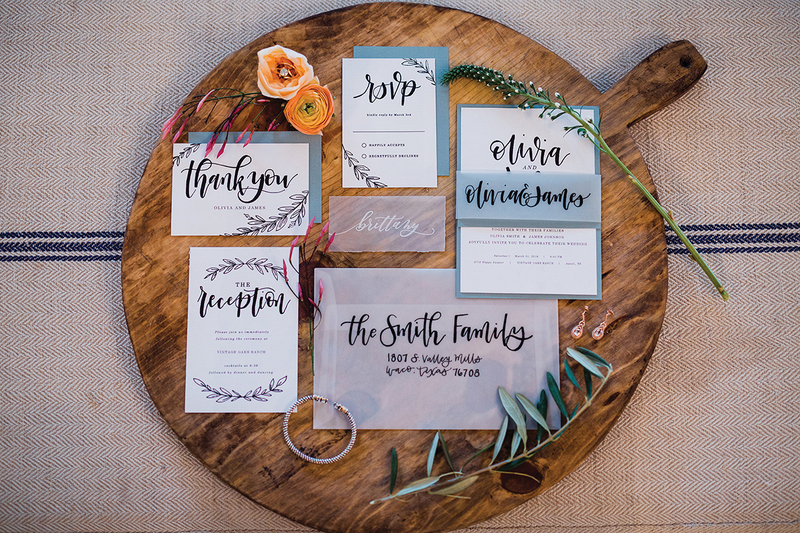 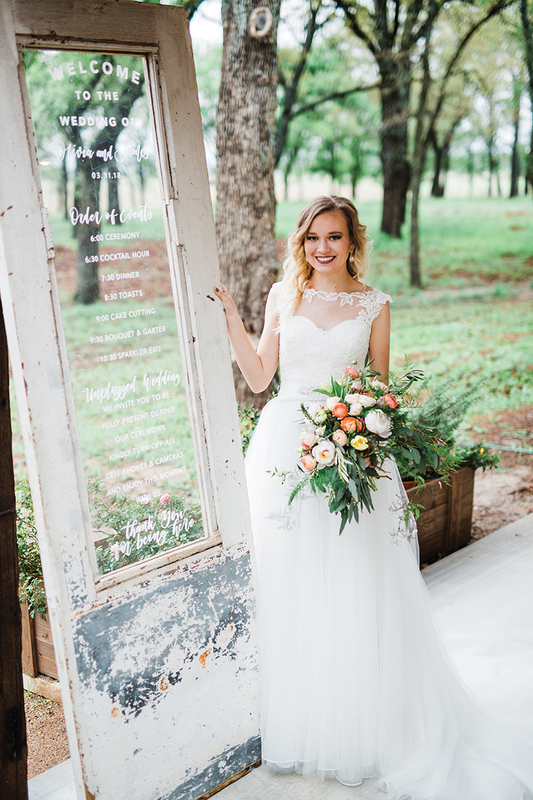 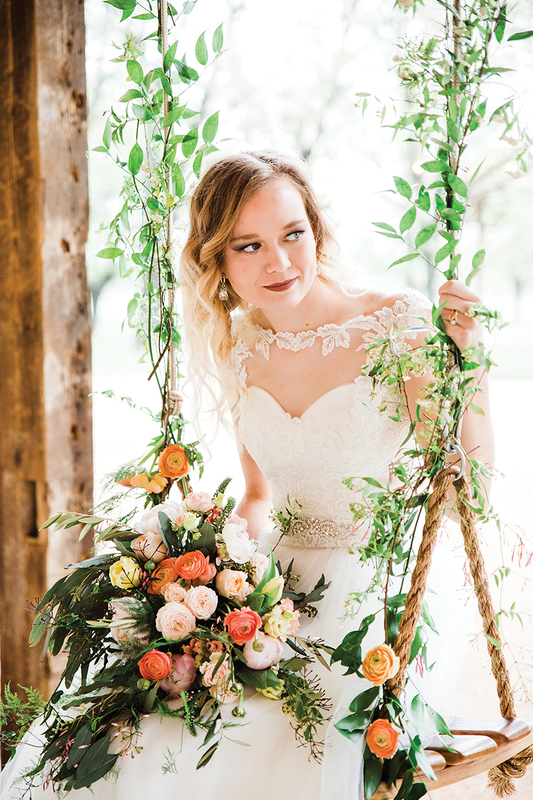 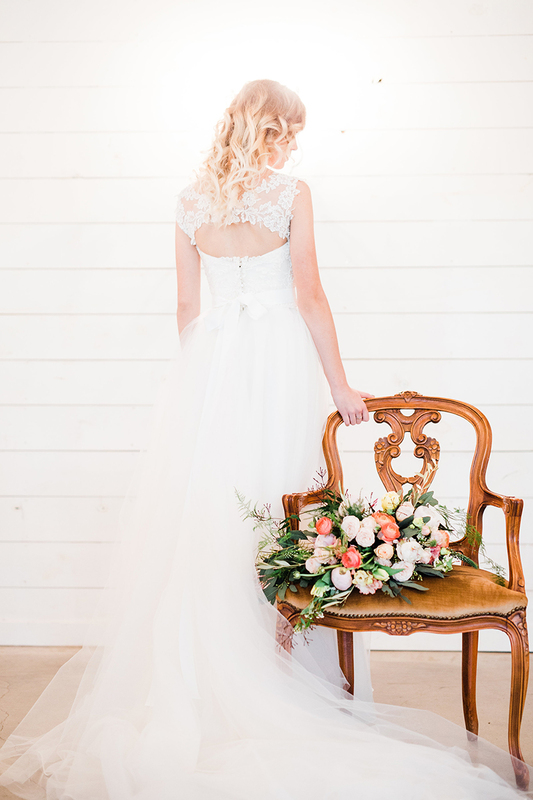 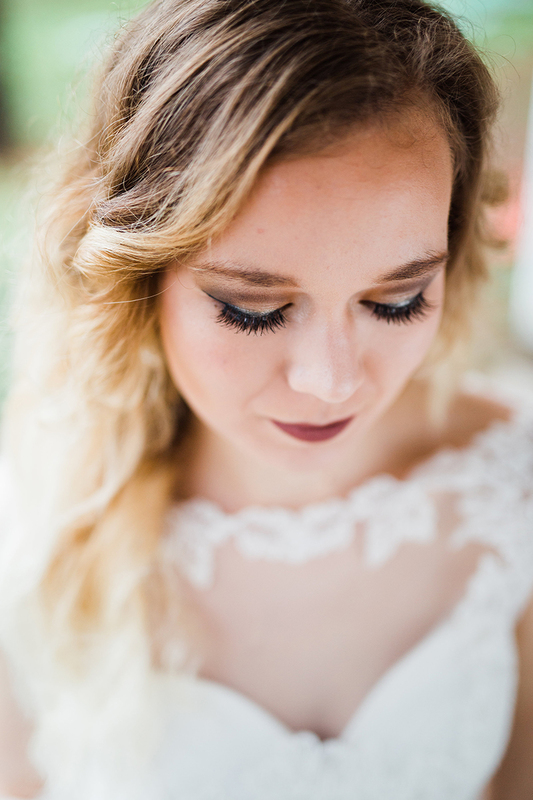 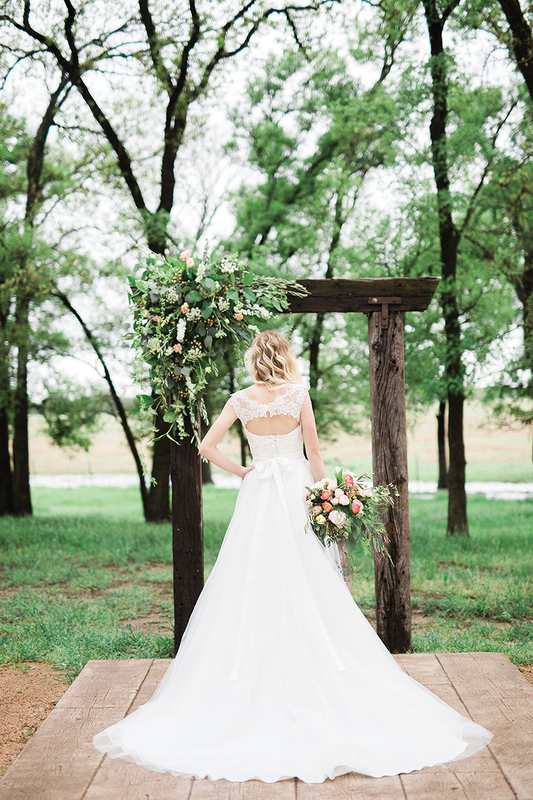 Twisting oak trees, a floral-adorned arbor and gorgeous country scenery created an ideal setting for our Spring Dream styled shoot at the charming Vintage Oaks wedding venue. 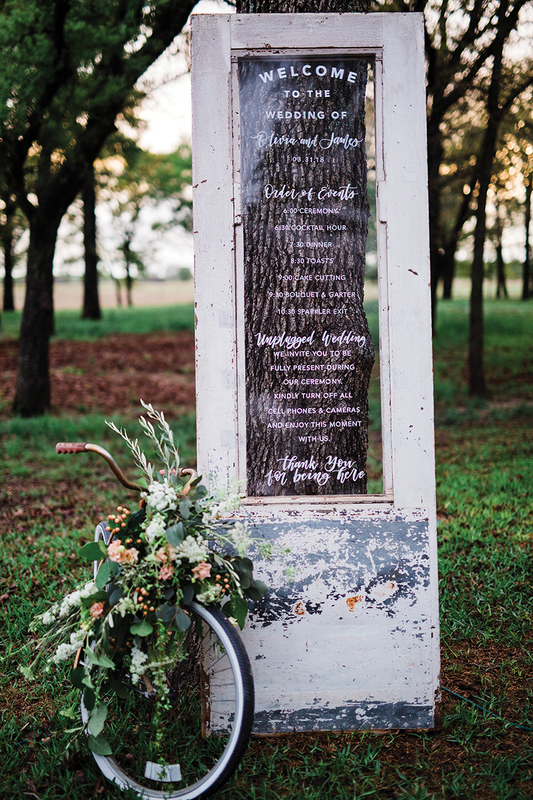 A white, weathered window, adorned with calligraphy, served as a focal point and entrance to the ceremony space, while a floral-covered bicycle added a touch of playfulness. 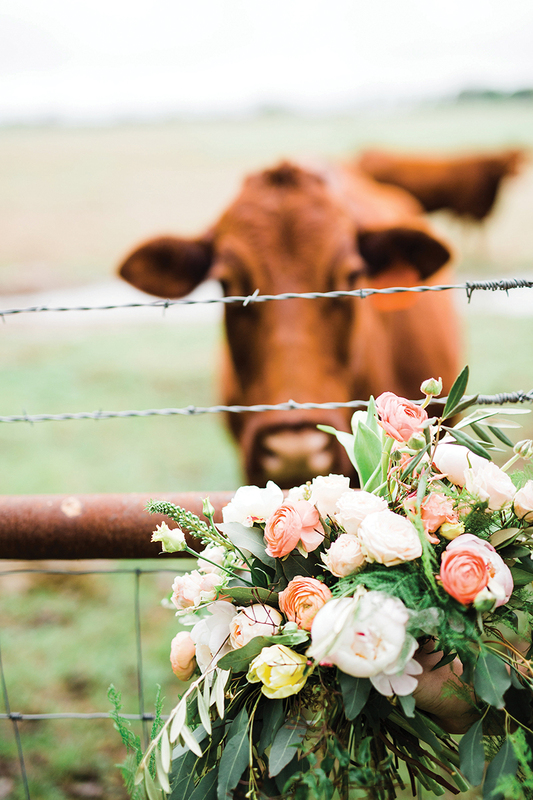 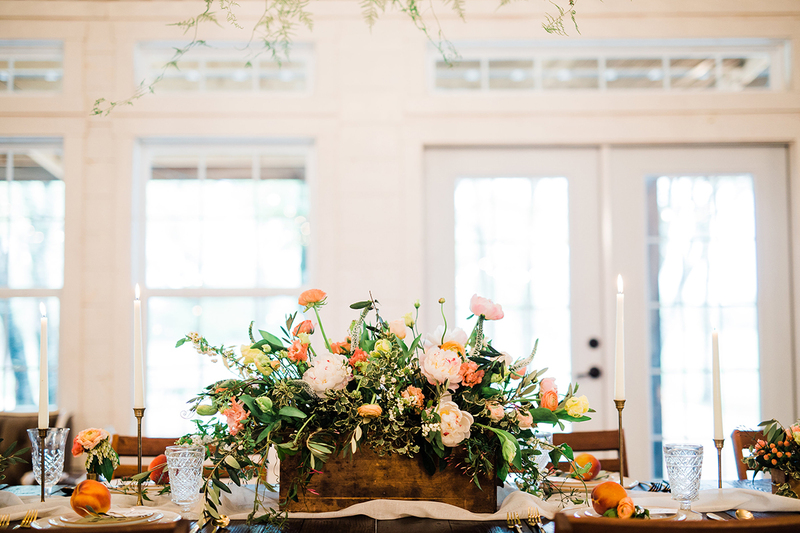 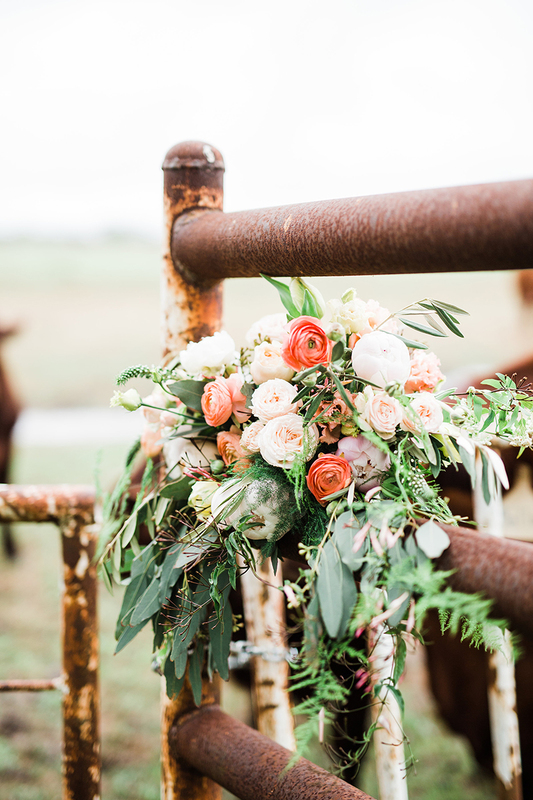 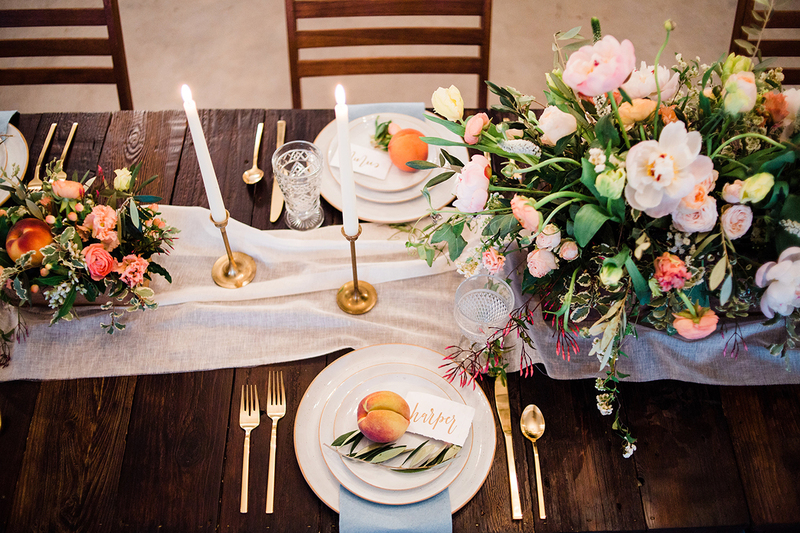 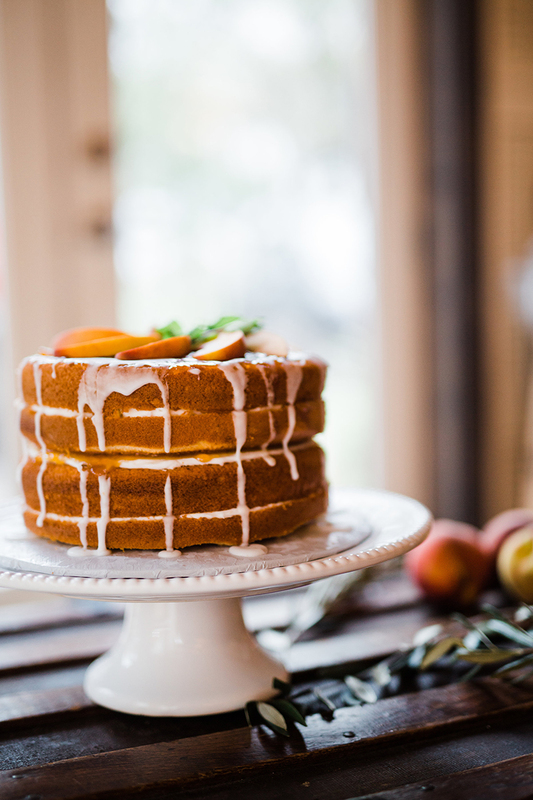 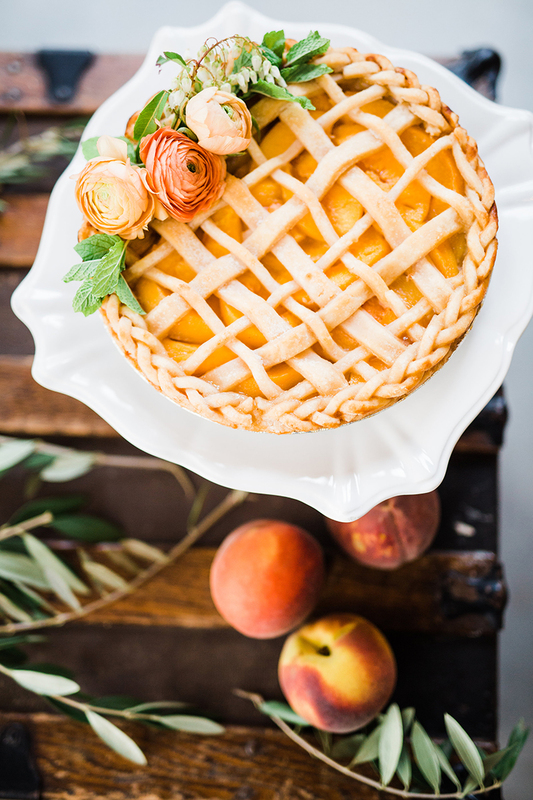 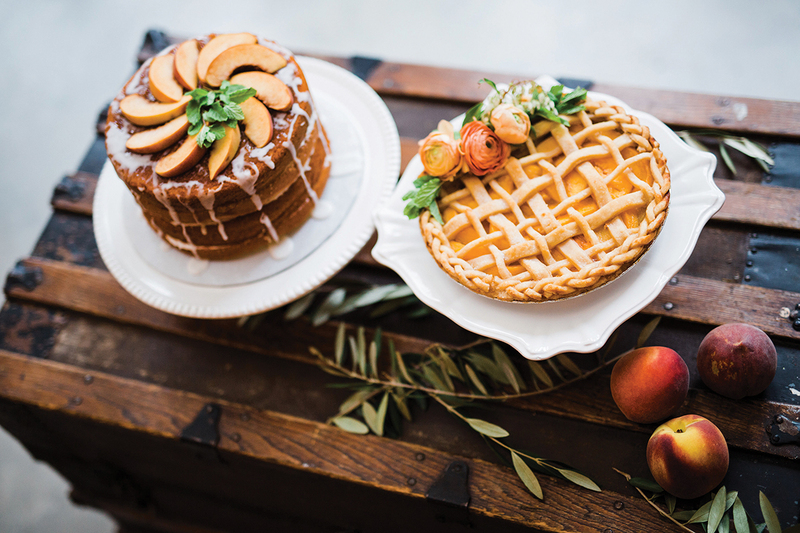 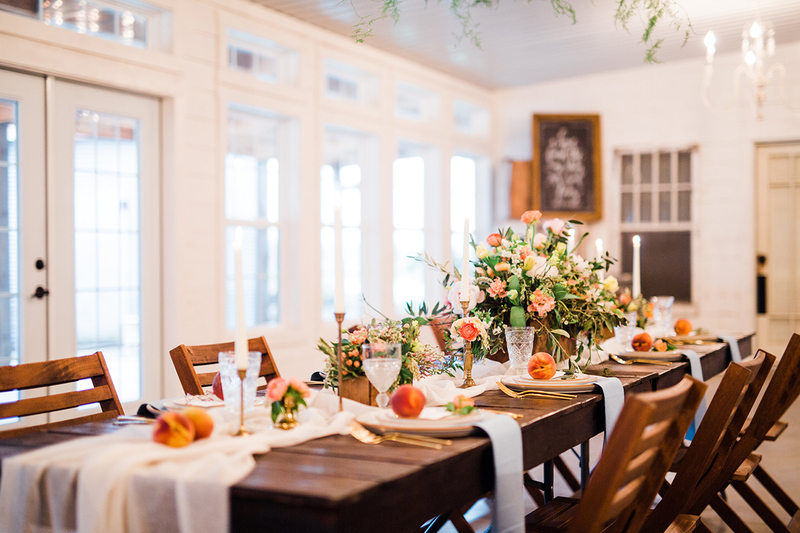 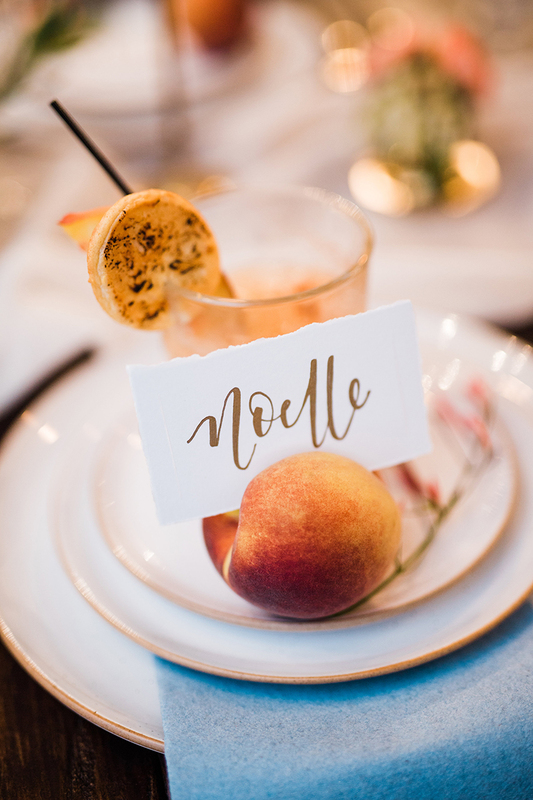 Plump peaches used throughout the space created a sense of whimsy and farm freshness that paired nicely with the sunset-colored flowers and vibrant greenery. 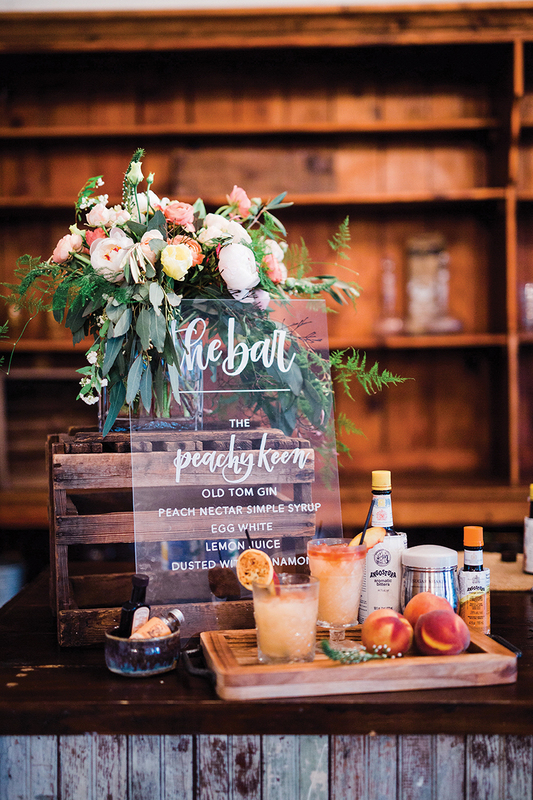 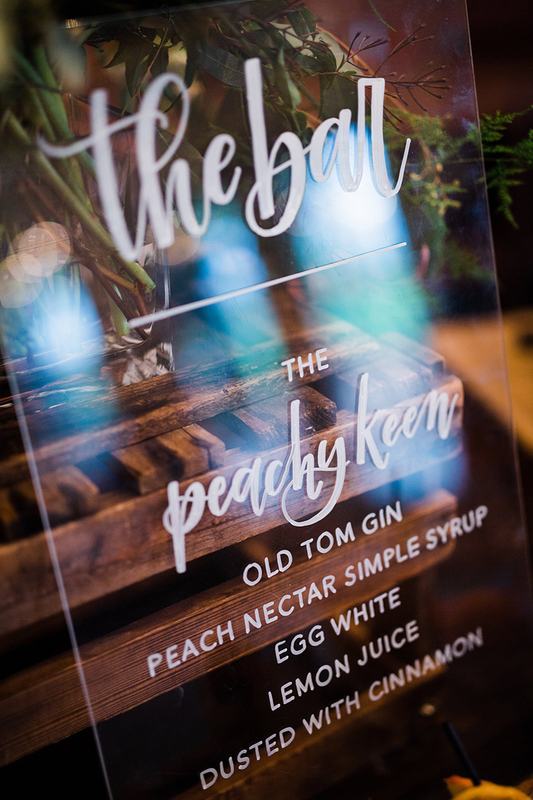 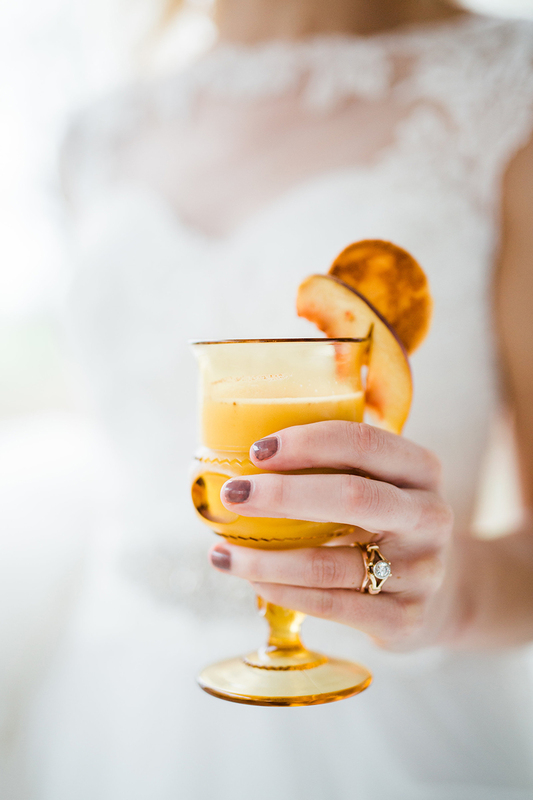 And peach-colored appetizers and fruit-flavored desserts carried the orchard vibe throughout the reception area, complimenting the “peachy keen” cocktails. 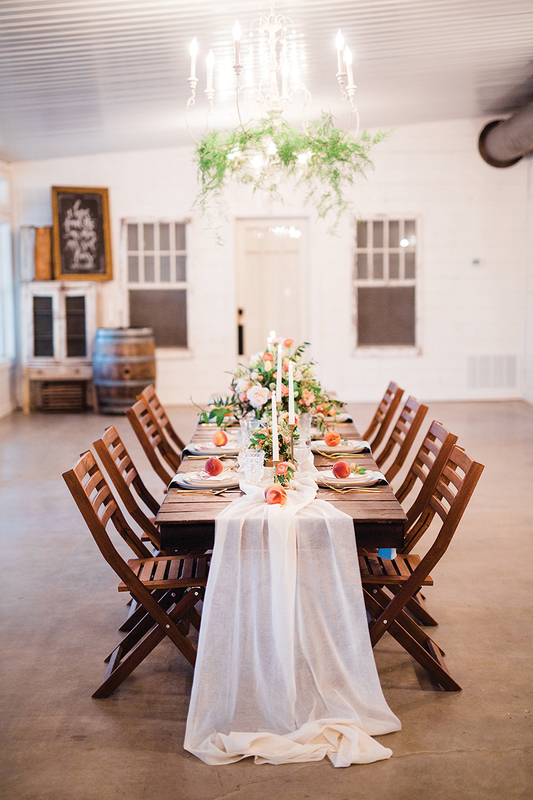 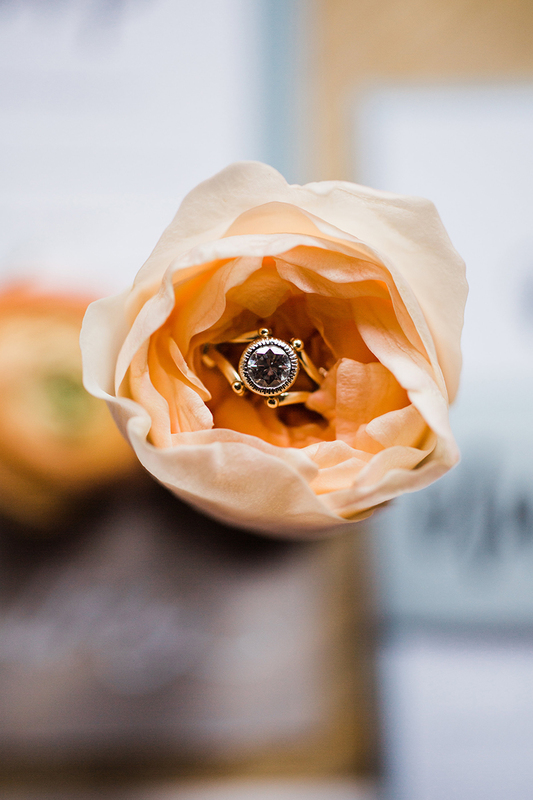 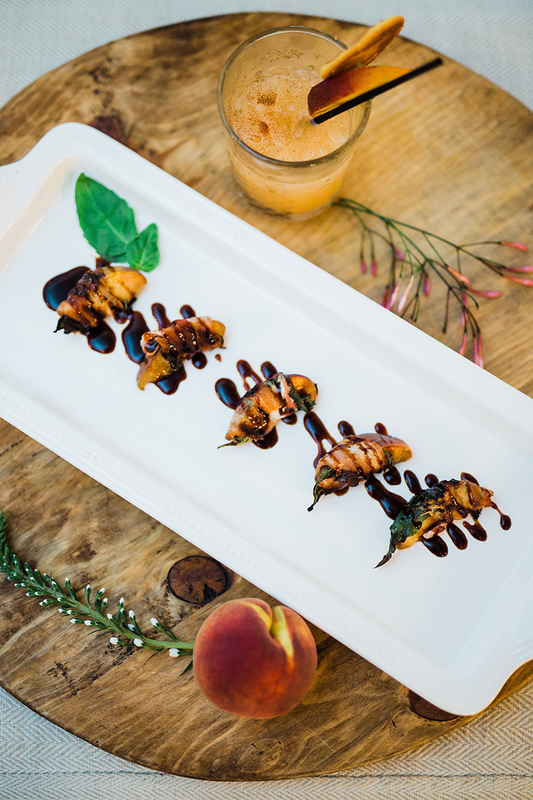 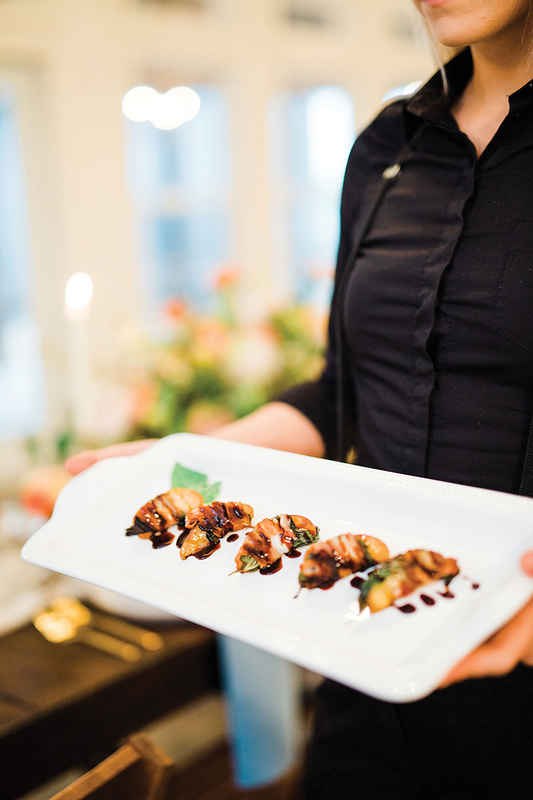 Pure, white linens and dinnerware stood out against rustic accents in browns and deep orange tones. 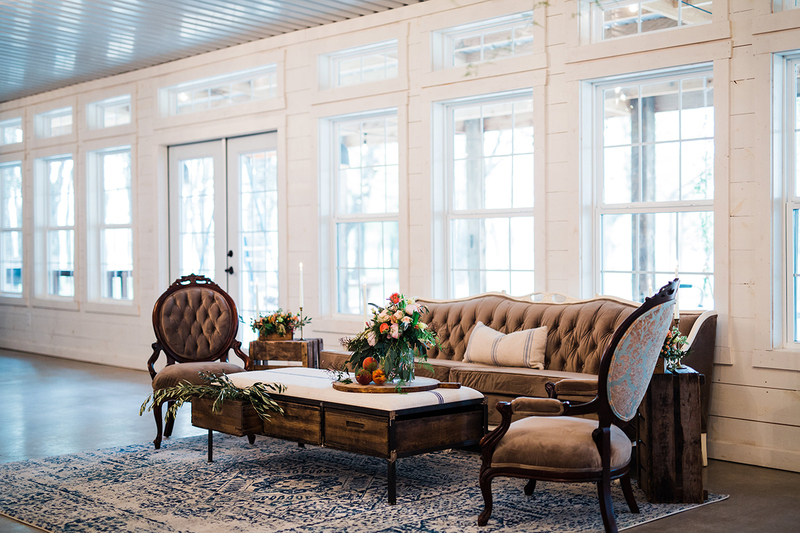 Large windows in the reception space let in streams of natural light creating a sense of airiness. 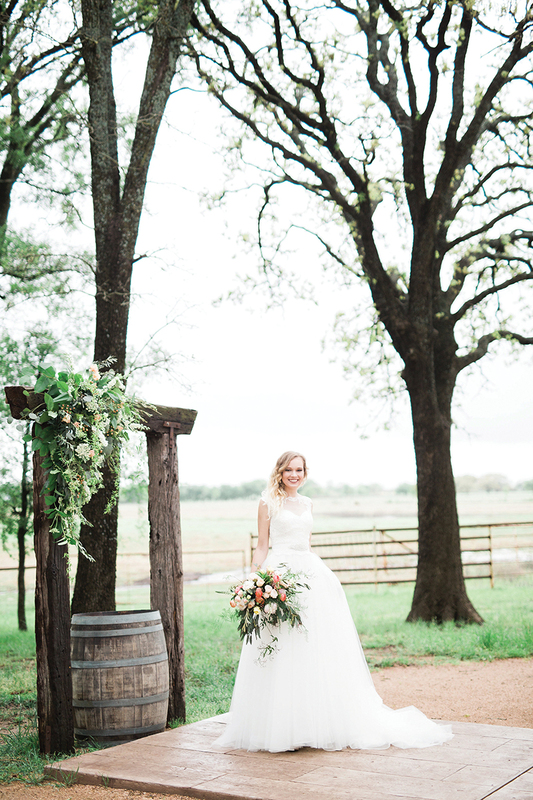 And the venue’s adorable rope swing tied the whole look together.